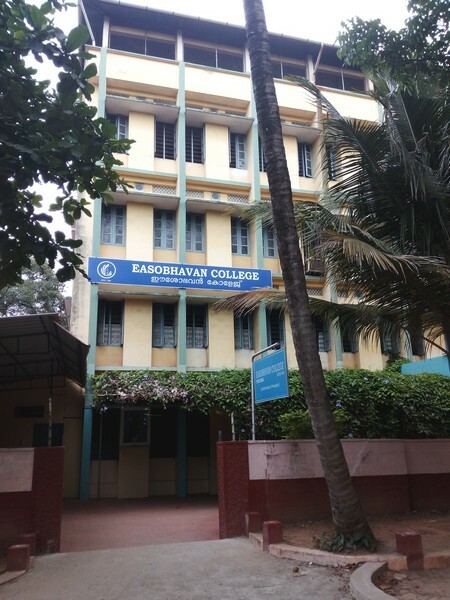 The Archdiocese of Verapoly founded the Easobhavan College in the year 1990 to provide the student community with quality education in kerala. We impart education with the intention of proper character formation of the students, eventually achieving the holistic transformation.In the emerging scenario of unprecedented changes , globalization, networked economy and e-learning Easobhavan takes a paradigm shift in education to evolve into a dynamic,centre grounded institution aimed to groom superlative individuals who are well formed spiritually, academicaly and individually. The college is keen to train our youth to be leaders of tomorrow with apt skill , deep rooted sense of social responsibility , strong ethical values and a global outlook to face the challenges of the changing world. We all have our personal dreams and aspirations . Let us set small goals to achieve these dreams and with each goal a set of action plans to guide us on the right path.